Ph.D.: January 1 for Fall. Only admits for odd years. M.P.A. Domestic Applicants: April 1 for Fall for fellowship consideration. July 1 for Fall otherwise. December 1 for Spring. May 1 for Summer. M.P.A. International Applicants: April 1 for Fall. October 1 for Spring. February 1 for Summer. The Master of Professional Accountancy (M.P.A.) emphasizes the use of accounting as an analytical tool for understanding business and public affairs while preparing students for professional careers in public accounting, industry, or government. A range of accounting concepts and relationships are taught to equip students with the ability to apply solutions to management issues. The School of Accountancy seeks high-performance students to be the business world's creative problem-solvers of the future. Degree requirements can be met in five years by enrolling in a combined bachelor's and master's degree program or by completing a full year of graduate work after the bachelor's degree. Students completing the M.P.A. 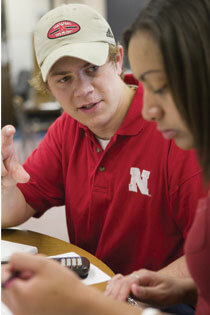 program should meet the requirements of states that require a minimum of 150 semester credits to sit for the CPA exam. A joint M.P.A./J.D. program is also available. Students must apply individually to both the M.P.A. and J.D. programs. Students admitted to both programs will be classified as M.P.A./J.D. students. The Ph.D. in business with a specialization in accountancy is also available. This doctoral-level specialization prepares students for academic careers in financial or managerial accounting, auditing, taxation, or information systems. See the Business graduate program summary for more information about the Ph.D. program. For additional details check out the dept./program website: Accountancy.